My Wholefood Family Essentials: Happy Birthday Charlie! Hard to believe but my baby turned 2 last week! Quite honestly it has been the fastest 2 years of my life and my boys are growing up so very quickly. To celebrate we had a party on Sunday for friends and family. It was supposed to be at the park but rain the day before (the first real rain in months) put an end to that. I had visions of muddy toddlers sliding all over the place! So Plan B was at our place and amazingly we fit 19 adults and 13 children in our lounge/dining room and little backyard. We must live in the Tardis. And onto the important stuff, the food! As you will have seen above I made Charlie a digger cake. He is obsessed with all things truck and I just I would have to do some sort of truck cake for him. I have 3 kids birthday cake books but unfortunately there was nothing quite right. I was thinking I would have to just wing it (a dangerous idea because cake decorating is really not my strength!) 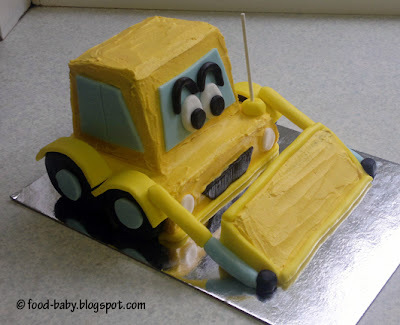 when I came across a digger cake on Cake 2 the Rescue. This is a local business which sends out cake kits complete with everything you need to make a brilliant cake - cake mix, icing mix, pre-coloured fondant icing in the right amounts, food colouring, a rolling pin, cake lifter and cake board. 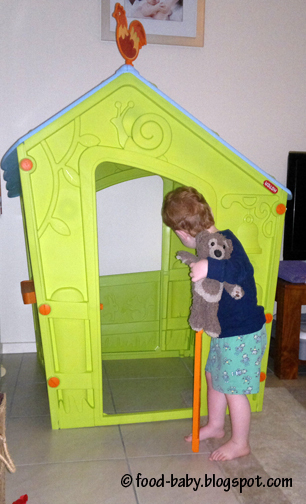 While I wouldn't normally go for something so pre-packaged it was a real time saver and a lot of fun! And just for the record this is not a sponsored post, I paid for own cake kit and just wanted to give them a shout-out. 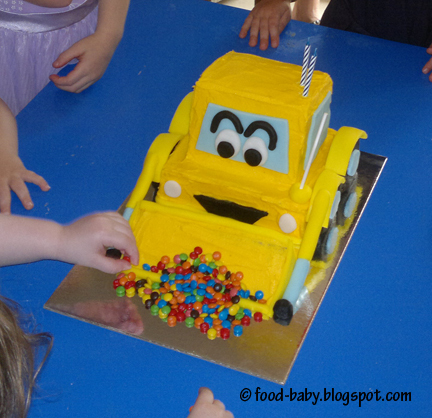 Here is the finished cake with M&Ms 'dirt' and lots of little fingers waiting (or not) to dig in! It was a real hit on the day and Charlie loved it. Everyone loved the taste of the cake but as the decorator I found the cake a bit too spongy. Despite being in the fridge first it still crumbled in parts when I iced it whereas a slightly denser buttercake may have held together better. No big deal really but still. 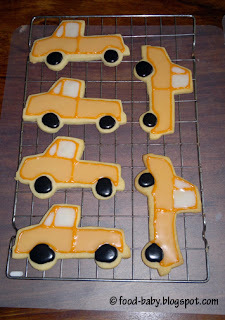 Keeping with the truck theme I also had a go at decorating some biscuits. 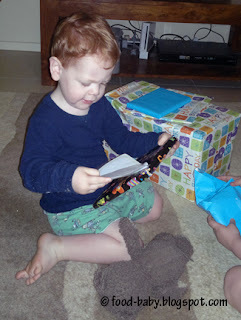 I found this cute cutter at Matchbox and used Charlie's favourite colour orange to decorate. This was my first ever attempt at decorating biscuits and I think I did ok. My only real issue came with the tyres. I completely underestimated how much black food colouring I would need to make a real black and of course my icing was far too runny by them and began to ooze and run off the edges of a few of the biscuits. Luckily no one cared! I used a sugar cookie recipe from Sweetapolita which you can find here and an icing recipe from I Am Baker which you can find here. I was really happy with both of these and would definitely recommend them. I also used Wilton gel colours. So that's it! Another birthday done and dusted. Oscar is already asking for a dinosaur cake for next year so I will have another opportunity to work on my cake decorating skills.